May god bless you with a ton of achievements more than what you’ve achieved in 34 years of your life…happy birthday my friend. I apologize for not being able to make it to your birthday.. I hope that you have a fantastic 34th birthday with all the best things…happy birthday my friend!! On the occasion of your 34th birthday…I would like to extend my heartfelt wishes and pray that you achieve all the success in life… Happy birthday!! You can’t imagine the influence you’ve had on my life and today on your 34th birthday I would just say that I love you and want to be with you forever…happy birthday baby. I still remember the day when I first held you in my arms 34 years ago…you maybe a big guy now..but for me you remain my baby..now and forever..happy birthday my son.. Happy birthday to the sexiest and classiest 34 year old fairy princess… may god bless you with eternal youth and keep you looking so good always..
34…a long journey you’ve completed and it has been full of ups and downs and today I would just say that I wish the journey from now on is better and more fruitful…. Happy birthday. You’ve crossed another milestone in the 30’s range today and all I would say is that I hope you enjoy getting old…hahaha..happy 34th birthday my friend.. What?? You want to party today?? My dear friend…you should know by now that people over 30 aren’t allowed to party..:P hehehe….happy 34th birthday my old man..!!! Rum is red, gin is blue…all I wanna say is I love you….now give me a party and let’s celebrate you!! Happy 34th birthday sweetie..
You may have turned 34 today, but for me you still remain that little angel that used to play in my arms and sleep on my lap…happy birthday my princess…god bless you.. The things that you’ve achieved in these 34 years is outstanding…. I wish that you continue on the same path and achieve even greater success…happy birthday!! 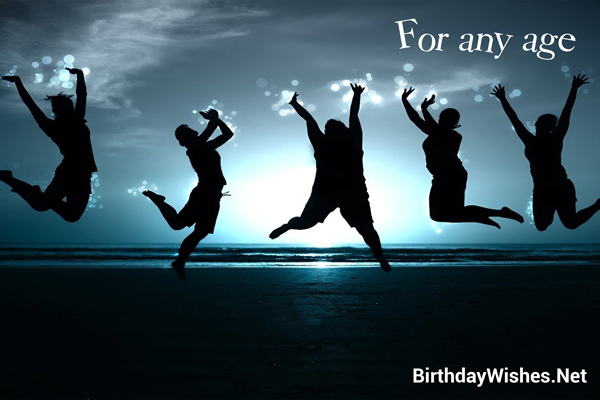 Check out this amazing collection of 34th birthday wishes, the 34th birthday wishes on this page incorporate the messages from these article, but feel free to add your own.